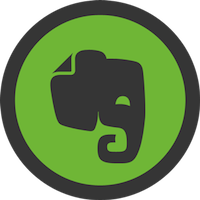 This layer groups together packages to work with Evernote. It uses the non official Evernote command line tool geeknote which allows users to write notes in markdown, and sync them. geeknote.el is a wrapper for some of the most used geeknote commands. By default, geeknote.el doesn't have key bindings defined. This contribution layer provides key bindings for all of geeknote.el's exposed features. To use this configuration layer, add it to your ~/.spacemacs. You will need to add evernote to the existing dotspacemacs-configuration-layers list in this file. The command geeknote is expected to be present in your $PATH. To obtain this utility, please refer to the official geeknote documentation. $ geeknote settings --editor "emacsclient"
If you would prefer to customize the geeknote command to be used such as specifying the path to the geeknote python script, please refer to the geeknote.el documentation. For more information about setting up $PATH, check out the corresponding section in the FAQ (SPC h SPC $PATH RET).